Thos. Tomasson & Co Ltd were tin box and can manufacturers who had a factory in Shrub Hill. The factory was located on Shrub Hill Road between the GWR 'Vinegar Works' branch line and Shrub Hill railway station and adjacent to the Holy Trinity church. The company had a private siding on the east side of the 'Vinegar Works' branch line. A sketch map of the local area can be found here. This photograph was taken by Andrew Smith on 24th December 2003 at location 'D' on the map and shows the remains of the private siding. Shrub Hill station is on the left hand side of this view that is looking towards the site of Tomasson's factory. Originally the line extended beyond where the photographer is standing to make a connection to the 'Vinegar Works' branch line. Thomasson's tin factory occupied the area marked as units Nos.1a to 1d and 2 to 4 on this schematic. Some of these buildings are new. The surviving section of track was below unit No.4. Part of unit No.9 is new and is built on the track bed of the connection to the GWR 'Vinegar Works’ branch line. 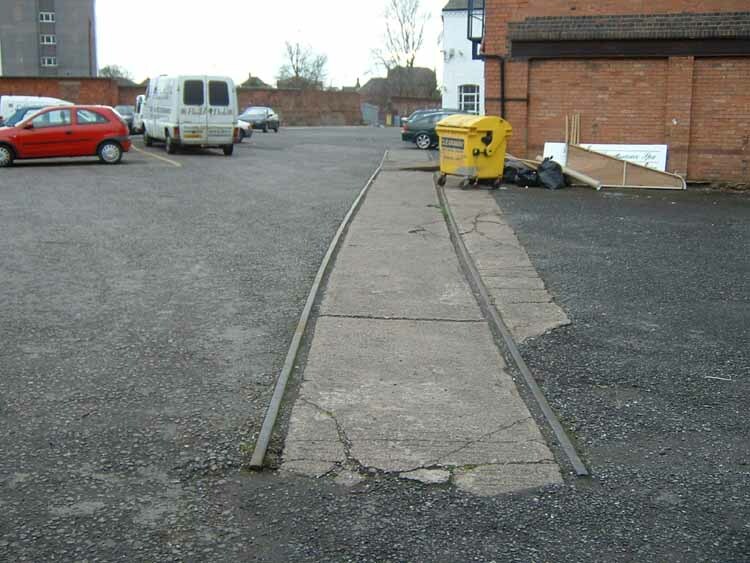 The sidings here were also used by Tower Manufacturing Co Ltd who utilised the buildings marked as units No.7 to 9.